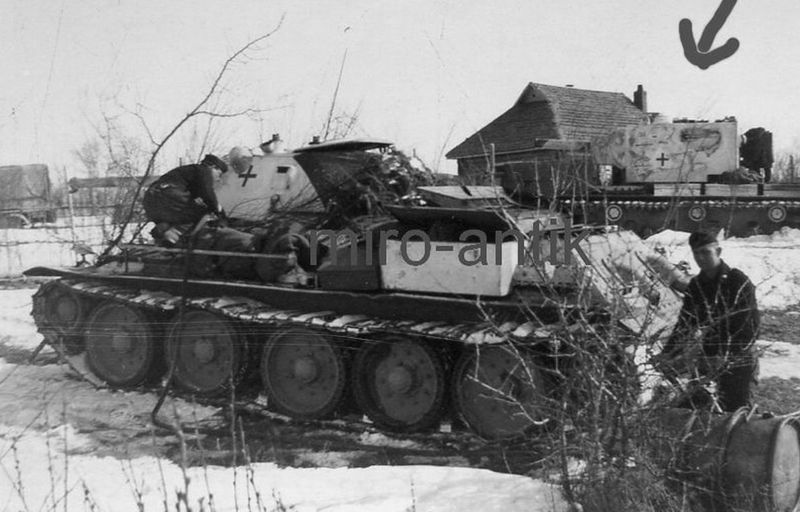 Germans modified KV-II and T-34 tanks was used in antipartizan operations on the Yukhnov front. 20 February 1943. 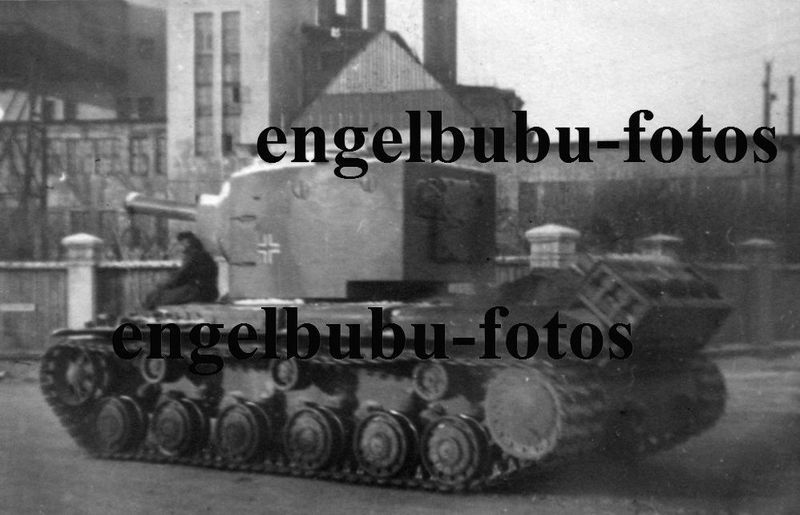 Germans modified KV-II and T-34 tanks from II/zBV 66, February 1943. 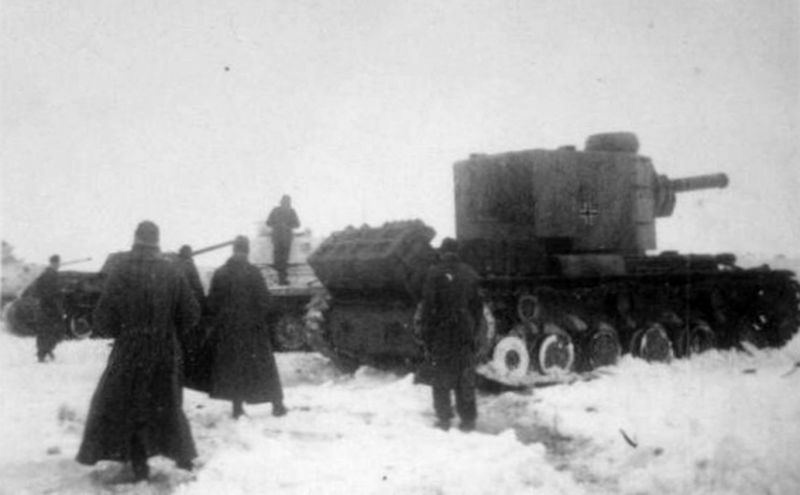 German tanks T-34 Mihnovka, 10 February 1943. 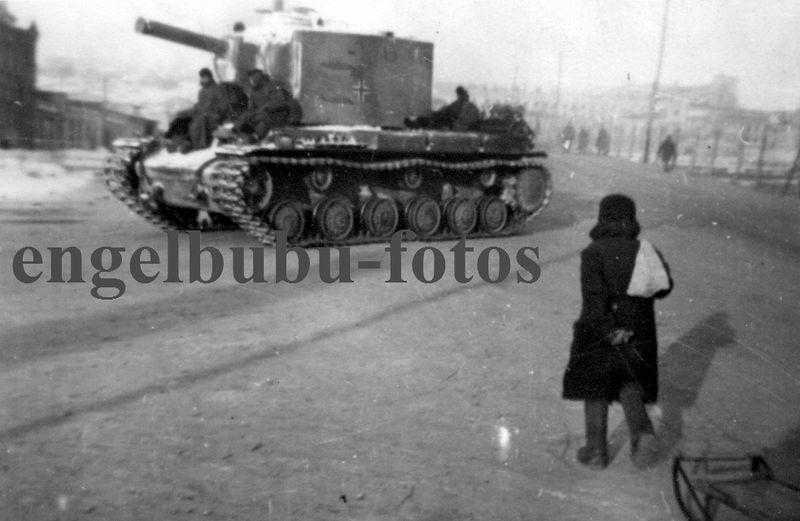 On the picture four T-34 modified by the Germans and KV-2 tank gun barrel visible on the right side of the picture. 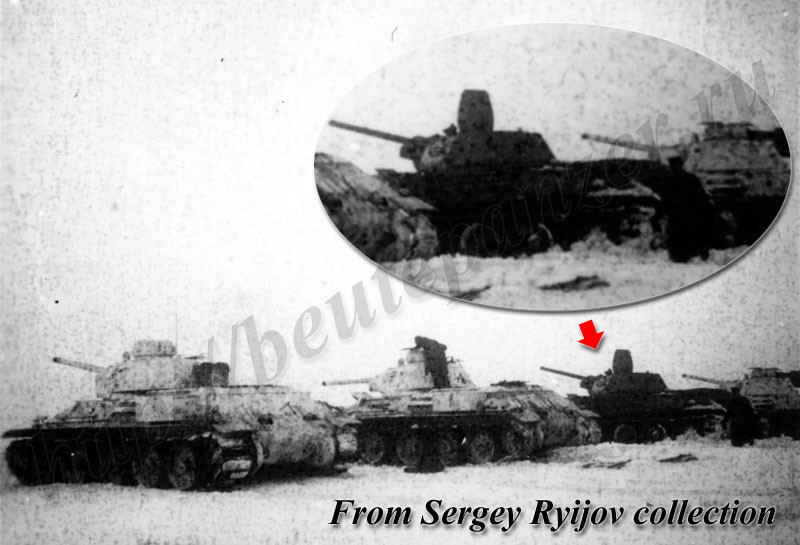 Three T-34 tanks equipped with a commander's cupola and have winter camouflage, the fourth tank, probably in tropical camouflage. 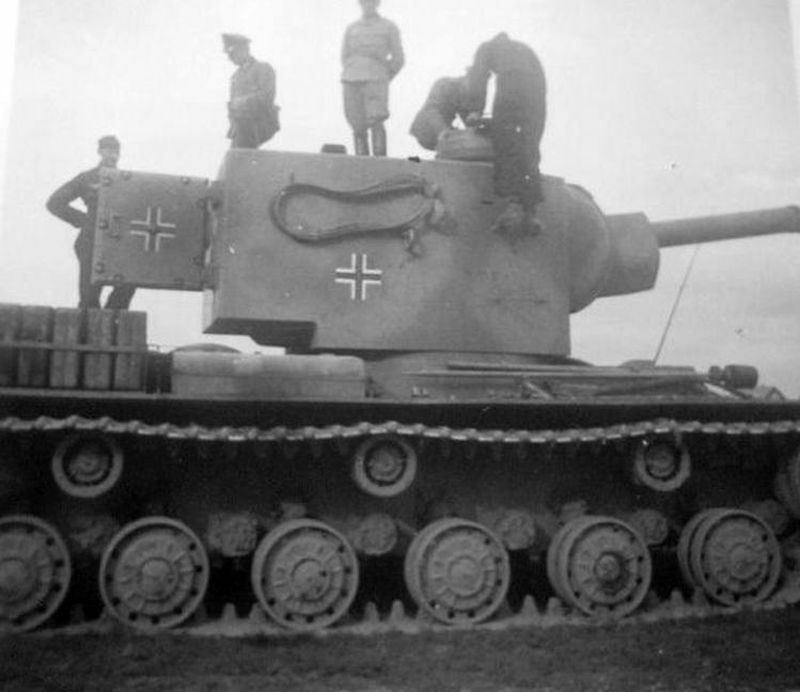 Germans KV-2 in Smolensk. Winter 1942/1943. 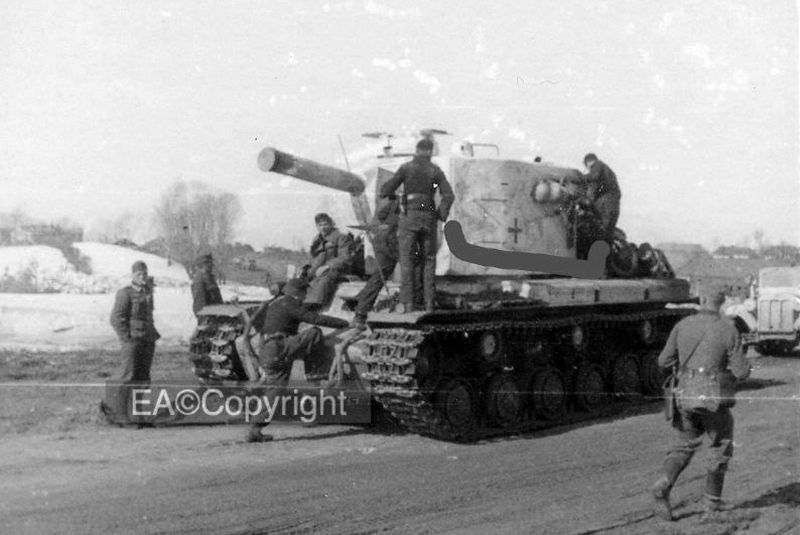 Germans KV-2 from II/zBV 66 run near electrical power station on the Kashen street in Smolensk, 31 December 1942.